Recaro Supplier of the Year! Aerofoam Industries was honoured by leading aerospace seating manufacturer, Recaro Aircraft Seating, with its top honour in the USA as its supplier of the year in June this year. Aerofoam Industries is a manufacturer of aircraft interior soft goods. The company manufactures aircraft seating foam, seat cushions, thermoform plastics and aircraft seat overs at its Lake Elsinore, California headquarters. 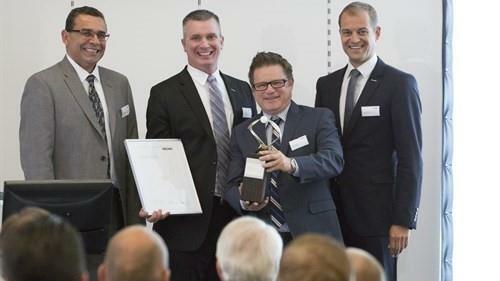 The award ceremony took place as part of the 7th "Recaro Aircraft Seating Global Supplier Conference" in Schwaebisch Hall, Germany on June 18, 2015, in which 150 international companies participated. "Recaro Aircraft Seating has continued its course of growth over the past years. Reasons for our success despite the challenging market conditions are the excellent quality of our products and great delivery performance of our international production network. 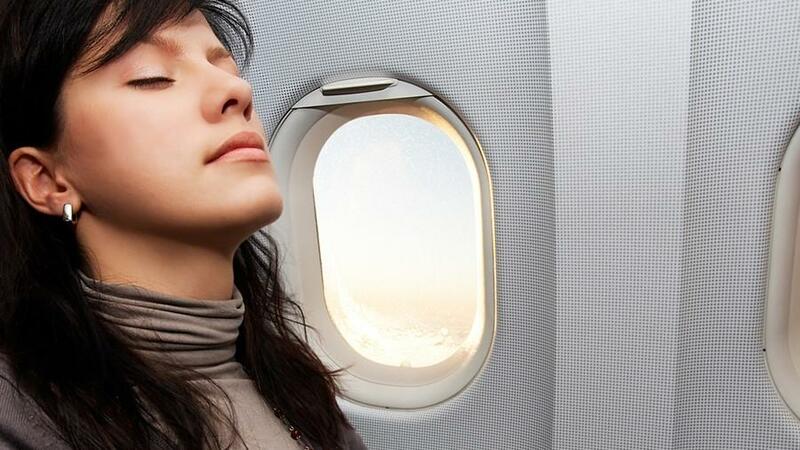 With growing competition, we need to focus more on cost optimization in the future in order to remain successful," explains Dr. Mark Hiller, Chief Executive Officer and Shareholder of Recaro Aircraft Seating. "Our aim is to be the best supplier from our customers’ perspective – and we expect the same from our partners. For this reason, we select our global suppliers with great care. Innovation, quality, commitment, and flexibility are the key criteria." Vice President of Aerfoam Industries, Jim Barrett accepted the award on the companies behalf at the award ceremony in Germany. “This was a team effort from everyone at Aerofoams and we are proud to work with and be honoured by such an esteemed company such as Recaro” commented Barrett. Aerofoam Industries were honoured due to their outstanding performance and extensive portfolio of products. 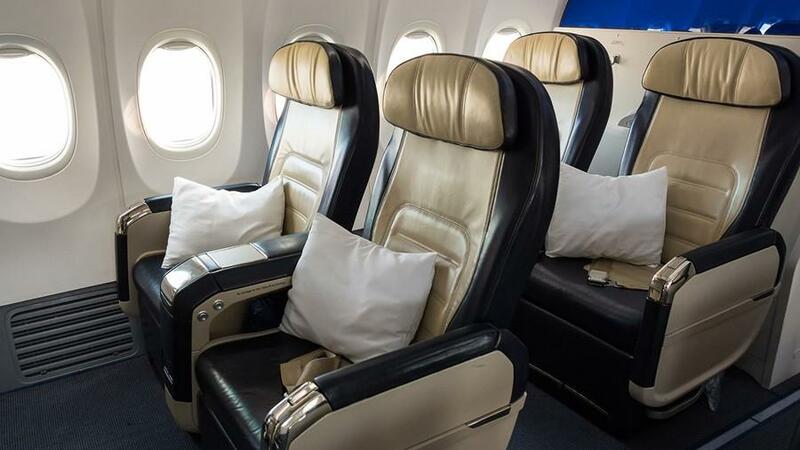 “As a leading global supplier of aircraft seat cushions, dress coves, tray tables and thermoform components, this award really puts us up there amongst the best in our industry”. The "Recaro Supplier Award 2015" was presented as part of the "Recaro Aircraft Seating Global Supplier Conference" in Schwaebisch Hall on June 18, 2015. 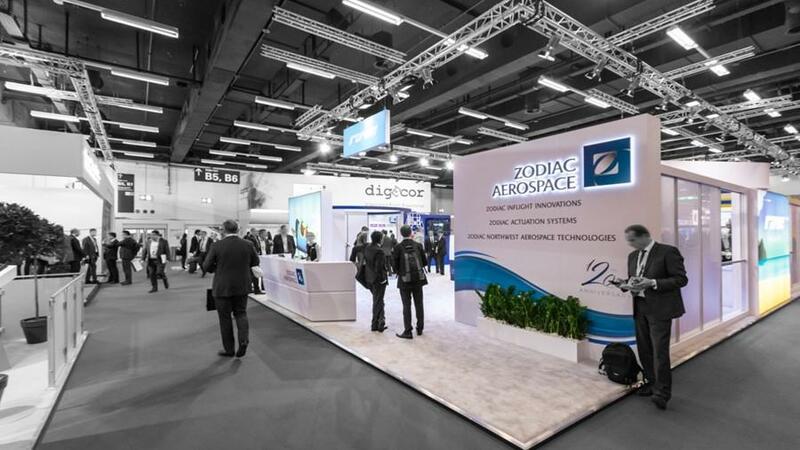 "In the seventh year of its existence, the event is an integral part of our supplier network. This year we have once again been able to use this platform for constructive exchange and in-depth discussion which will help us to shape our future," says Joachim Ley. The key topic of the conference was "Cost Optimization – Connecting Competitive Partners". 150 supplier representatives, including companies from Europe, South Africa, China, and the United States, discussed how they can improve cost competitiveness which will determine the joint success of the network. Guest speaker Ulrich Jens Brinkmann, Managing Director of Eissmann Individual, a leading manufacturer of high-end shifter modules, trim components and complete automotive interiors, talked about challenges and cost competitiveness in the automotive industry. Hot pants? For lasting relief try sitting on diamond dust. 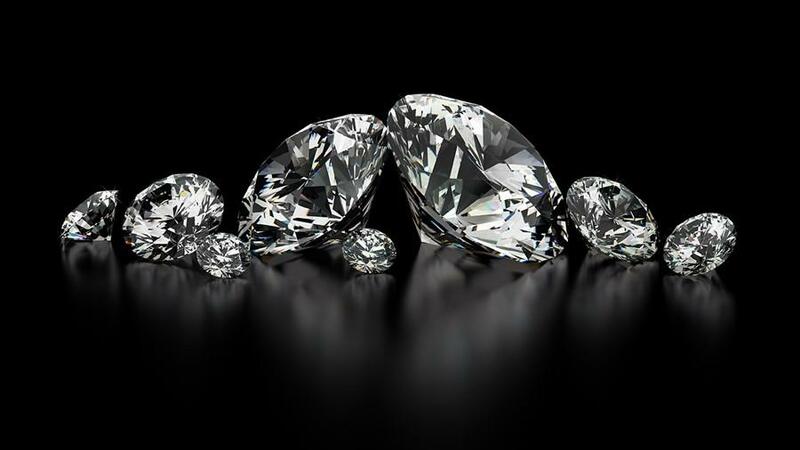 Airlines will soon be able to tell passengers they are sitting on diamond infused foam. Aerofoam Industries honored as Recaro USA supplier of the year. Aerofoam Industies had another succesfull year at the AIX in Hamburg Germany. Aerofoam Industries is bringing high technology aerospace growth to Lake Elsinore. Aerofoam Industries of California and UK based NuBax Limited have announced a partnership.